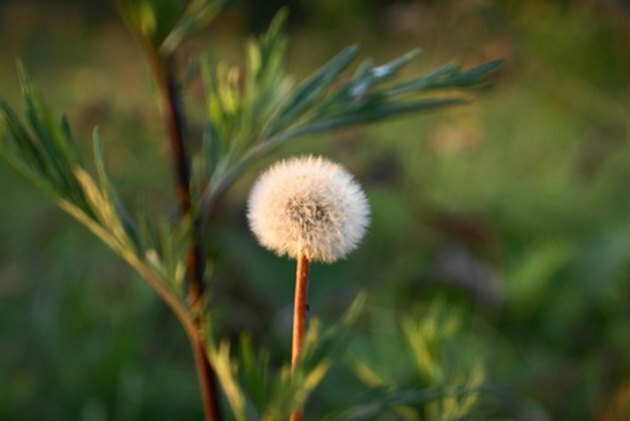 What Are the Benefits of Dandelion Root Capsules? Most people look at dandelions and see a weed they must eradicate from their lawns. Historically, though, the plant has been embraced by Native Americans as a means of treating a variety of medical conditions, according to the University of Maryland Medical Center. Through the years, its use has persisted. Today, capsules containing dandelion root are purported to treat and prevent a number of conditions. Medical research into its effectiveness has shown some potential benefits, but more study is needed to full understand how it works in the body. Consult with a trusted medical professional before using dandelion root to improve your health. Dandelion root works as a diuretic in the body, increasing urine production and reducing fluid retention, according to the University of Maryland Medical Center. It does this by increasing the amount of water and salt excreted by the kidneys. Because it acts as a diuretic in the body, it is sometimes recommended to treat conditions in which this would be beneficial, such as hypertension. However, you should always consult with a knowledgeable medical professional before using dandelion root capsules as a diuretic. Dandelion root is sometimes touted as an alternative treatment for people with cancer. This is based on several chemical constituents in the plant that may affect the growth of tumor cells, according to Memorial Sloan-Kettering Cancer Center. However, studies regarding dandelion's effect on cancer have only been performed in test tubes and on animals. No human study has even been conducted showing that dandelion root is beneficial in treating or preventing cancer. Because cancer is life-threatening, you should never use it to self-treat your condition. Early research indicates dandelion root capsules may be useful in treating diabetes because it can lower blood sugar levels, according to the MedlinePlus website. However, research about this benefit has only been demonstrated in animals. Before it can be recommended to help lower blood sugar levels in people, human studies are needed. Diabetes can be life-threatening. Do not use dandelion root to treat the condition unless under the care of a qualified medical professional. The chemical properties of dandelion root also appear to have a laxative effect in the body, according to the University of Maryland Medical Center. In addition, it is also thought to improve digestion and other gastrointestinal conditions because it allows the normal bacterial flora in the GI tract to thrive. Always speak with a medical professional before using dandelion root to improve your digestive health. Dandelion has been used for decades as a means of improving the health and function of the liver, according to New York University Langone Medical Center. Centuries ago, it was touted as a folk remedy to detoxify the liver and improve overall health. Today, some practitioners of alternative medicine continue to promote this use, although no studies have ever conclusively demonstrated this effect. Before using dandelion root to improve liver function, speak with a health practitioner who is knowledgeable about its effects on the body. Is It OK for Diabetics to Drink Green Tea?